Pilgrimage is an important part of my spiritual life. Throughout the year, I regularly return to Lichfield – to Lichfield Cathedral and the Chapel of Saint John’s Hospital – for times of reflection and prayer. Each year, I also try to spend some time, if only for a few hours, in a monastery, with time to refocus the priorities in my spiritual life and my prayer. My pilgrimages last year also included a visit to Mount Athos, an overnight retreat in Glenstal Abbey, and visits to monasteries in both Thessaloniki and Crete. Perhaps the day spent in the ghetto in Venice in November could also be described as a pilgrimage. In the past, I have also made pilgrim visits to Jerusalem, Rome, Mount Sinai, Mount Athos, Patmos, Arkadi and Canterbury. At some stage, I hope to visit Santiago de Compostela, even if I never walk the Camino. Many people like me have been strongly influenced by The Way of a Pilgrim, a 19th century Russian spiritual classic that recounts the narrator’s journey as a mendicant pilgrim while practising the Jesus Prayer. It was first published in 1884, and the best-known English edition, translated by an Anglican priest, Reginald Michael (RM) French (1884-1969), was first published in 1931. The exhibition explores how modern understandings of pilgrimage build on the historical tradition of Christian pilgrimage, including pilgrimage to Lichfield Cathedral from the time of Saint Chad to the present day. The exhibits include a 14th century document listing relics owned by Lichfield Cathedral, stonework linked with the mediaeval shrine of Saint Chad, a rarely seen 1420 edition of Chaucer’s Canterbury Tales, and a 17th century casket that contained the relics of Saint Chad after the Reformation. The exhibit also includes loans from the British Museum. 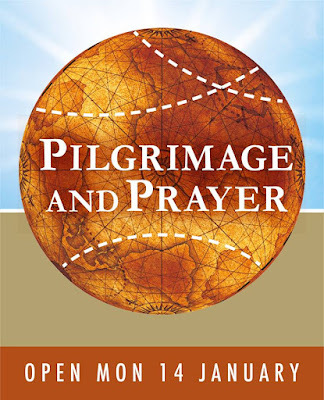 Two lectures on modern-day pilgrimage are part of the exhibition programme. In the second lecture supporting the exhibition, ‘Going on Pilgrimage Today,’ on 20 February, the Dean of Lichfield, the Very Revd Adrian Dorber, draws on his own experience of pilgrimage. we may finally reach the glory of God the Father. The ‘Decade of Centenaries’ continues as we move from marking the a four-year period that included commemorations of World War, the 1916 Rising, women’s franchise and the 1918 election to a another period that is going to mark the centenary of events such as the first Dáil, the War of Independence, the beginnings of Stormont, the 1921 Treaty, the foundation of the Irish Free State and the Irish Civil War. Once again, we are faced with a series of potentially divisive occasions that need reflective consideration and thoughtful planning, and that are in danger of collective amnesia in which the earlier foundations of Irish democracy are sidelined or even forgotten. A bicentenary rather than centenary that is probably not going to be marked next month is the election of the first Jewish-born MP in an Irish constituency, when David Ricardo became MP for Portarlington 200 years ago on 20 February 1819. Benjamin Disraeli (1804-1881) was not elected until 1837, and although he had been born Jewish, he had been baptised at the age of 12 in 1817. Lord George Gordon had converted to Judaism in 1787, seven years after he lost his seat in Parliament. 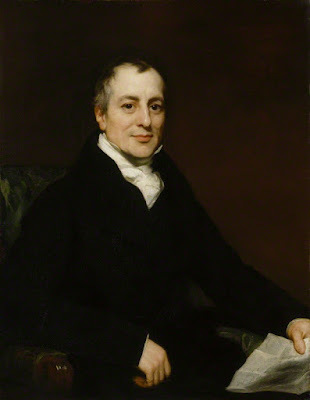 Other MPs may have had Jewish parents, but only two Jewish-born MPs were elected before Disraeli: Sir Manasseh Masseh Lopes (1755-1831), who converted to Christianity in 1802, the year he was elected, and the political economist David Ricardo (1772-1823), who became MP for Portarlington on 20 February 1819. David Ricardo was born in London on 18 April 1772, the third of 17 children of a Sephardic Jewish family of Portuguese descent who had recently moved from to London from Amsterdam. The Ricardo family removed from Livorno in Tuscany to Amsterdam in the late 17th or early 18th century, and family members were prominent in the Jewish community in Amsterdam. His father, Abraham Ricardo, a successful stockbroker on the Amsterdam Bourse, was naturalised in London in 1771, and in 1773 was appointed to one of the 12 brokerships reserved for Jews in the City of London; his mother Abigail was a daughter of Joseph Delvalle, a tobacco merchant. David had a traditional Jewish upbringing. His family may have thought he had to potential to become a rabbi, and it is said he attended the Talmud Torah in Amsterdam 1783-1785. But David returned to London and began working with his father at the age of 14 in 1786. Forced to find his own independence, Ricardo went into business on his own with the support of Lubbocks and Forster, a banking house. He made the bulk of his fortune speculating on the outcome of the Battle of Waterloo in 1815, when he reportedly ‘netted upwards of a million sterling,’ an impressive sum at the time. He immediately retired, bought Gatcombe Park, an estate in Gloucestershire now owned by Princess Anne, and was appointed High Sheriff of Gloucestershire in 1818-1819. In November 1816, he declined an invitation to contest a by-election in Worcester. In December 1817, Ricardo’s agent Edward Wakefield negotiated with Lord Portarlington’s agent to buy his interest in the ‘rotten borough’ of Portarlington in Queen’s County (now Co Laois), ‘at the market price of the day’, as part of a loan agreement for the debt-laden Irish peer. Ricardo then considered several borough seats, including Wootton Bassett and Fowey, were considered. However, in August 1818, he finally secured Lord Portarlington’s borough for £4,000, as part of the terms of a loan of £25,000. Ricardo took his seat as an Irish MP on 20 February 1819, and he sat in the Commons as a Whig until his death five years later. Although Portarlington was a ‘rotten borough,’ Ricardo was a supporter of parliamentary reform and religious toleration. Although he never visited his constituents, he voted for Catholic relief on 3 May 1819. JL Mallet noted that Ricardo, notwithstanding his slender footing in the House, his Jewish name and his shrill voice, obtained the great attention and was cheered in the House of Commons throughout his first speech. A few days later, the Duke of Wellington met Ricardo at a large party at Lady Lansdowne’s and congratulated him on his speech. Ricardo was an earnest reformer in Parliament, seeking an inquiry into the Peterloo massacre, and supporting free trade, criminal law reform and the abolition of the death penalty. Four years after entering Parliament, Ricardo died on 11 September 1823 from an infection of the middle ear that spread into the brain and induced septicaemia. He was 51. He was buried in Saint Nicholas churchyard in Hardenhuish, near Chippenham, Wiltshire. Ricardo’s writings fascinated a number of early socialists in the 1820s, who thought his value theory had radical implications. Later, his eldest son, Osman Ricardo (1795-1881), was MP for Worcester (1847-1865); another son, David Ricardo (1803-1864), was MP for Stroud (1832-1833). There is no evidence in Ricardo’s life of any particular interest in Jewish religious or communal affairs. He maintained cordial relations with the younger members of his family – some of whom seceded from the Jewish faith – and during a visit to Amsterdam in 1822 he sought out some of his Dutch family members, including his sister’s son, the poet Isaac da Costa (1798-1860). The law excluding any member of the Jewish religion from Parliament unless he swore an oath of abjuration remained in place until the 1850s. No other Jewish-born MP was elected to represent an Irish constituency until 1892, when Gustav Wilhelm Wolff (1834-1913), the Hamburg-born co-founder of Harland and Wolff, was elected for East Belfast. But Wolff too had converted to Christianity, and was a member of the Church of Ireland and of the Orange Order. The first Jewish member of the new Irish Parliament after independence was Ellen Odette Cuffe (1857-1933), Countess of Desart, who was appointed to the Free State Senate by WT Cosgrave in 1922. She was born Ellen Odette Bischoffsheim, and was a leading philanthropist in Co Kilkenny, where she lived at Cuffesgrange. She has been called ‘the most important Jewish woman in Irish history.’ The first Jewish TD, Robert Briscoe (1894-1969), was elected to the Dáil in 1927, over a century after Ricardo took his seat, and remained a Fianna Fail TD until 1961. He also served two terms as Lord Mayor of Dublin.